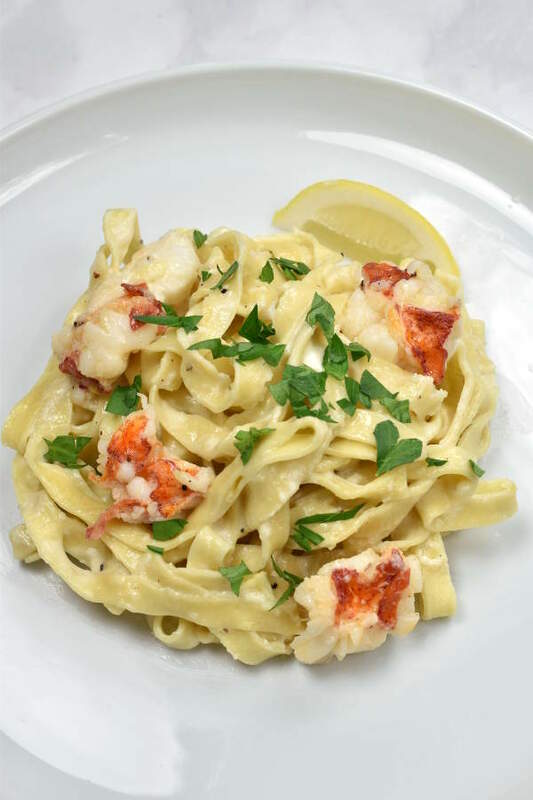 Lobster Pasta is made with frozen lobster tails, fresh pasta, and a creamy alfredo sauce with white wine and garlic. Treat yourself to lobster pasta for your next date night! 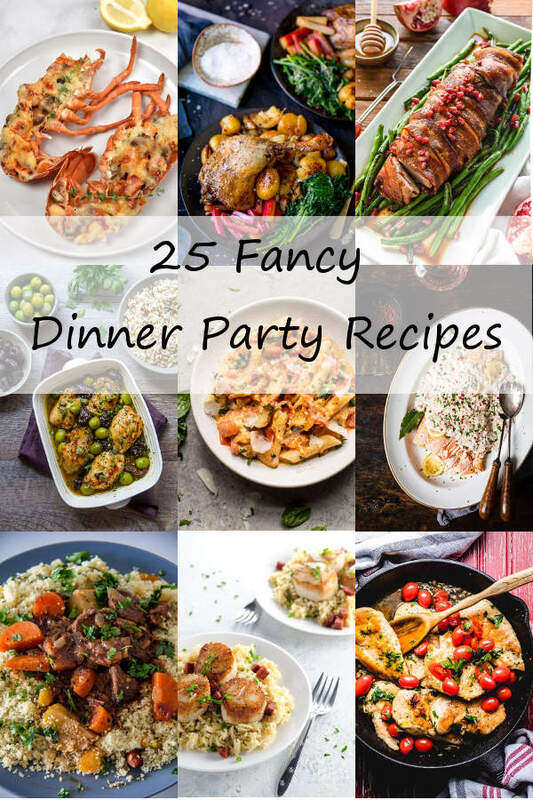 Today I’m sharing a romantic luxurious dinner for two perfect for Valentine’s Day or any special occasion. 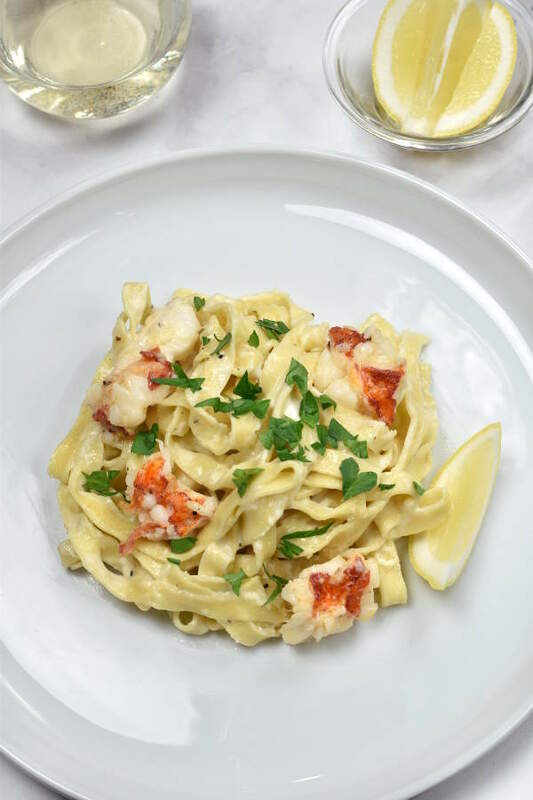 This recipe has sweet tender lobster, fresh fettucine pasta, and a creamy cheesy alfredo sauce. A little bit of white wine and garlic in the sauce complements the seafood flavor. I love lobster for a special occasion meal. 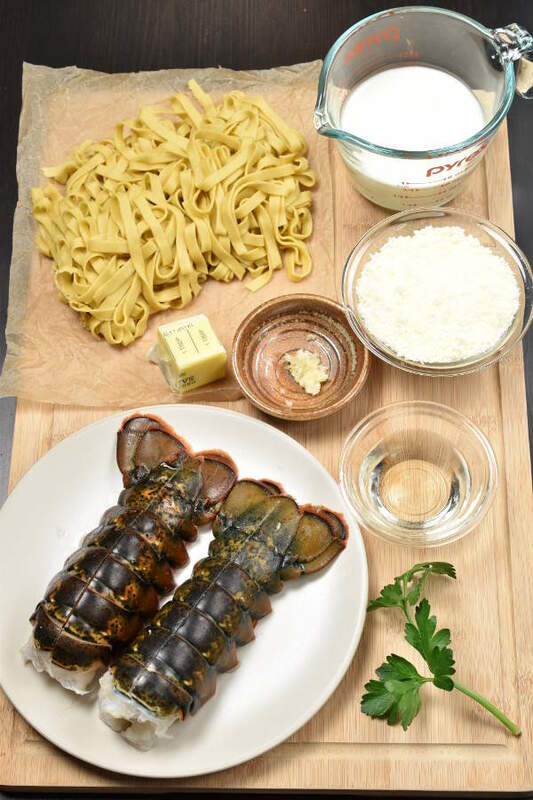 Since I shared my Lobster Thermidor recipe, I’ve been thinking about creating a lobster pasta recipe. I was talking about this recipe so much, at one point it became a little bit of a tongue-twister and I called it Lobsta Paster. 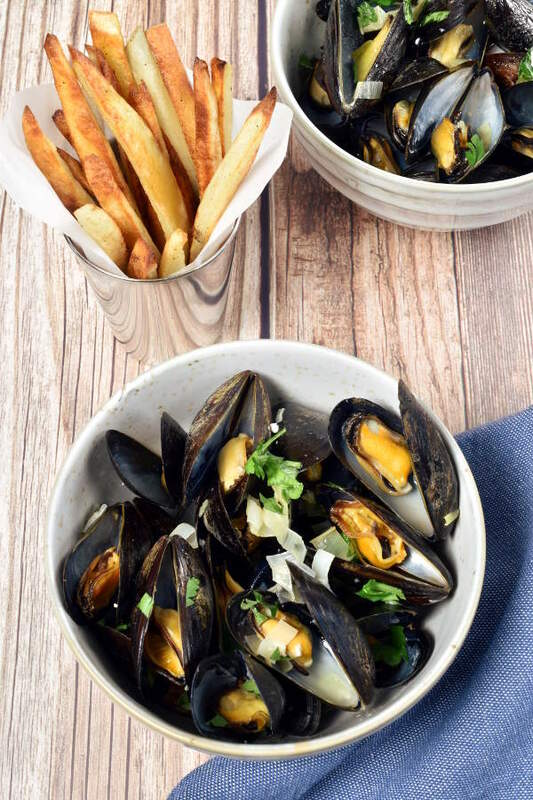 I decided to use frozen cold water lobster tails in this recipe to make it a little easier and more weeknight friendly. Buying a live lobster, steaming it, and removing the meat would give you more for your money, and I thought about doing that for this pasta. But that does add considerable time, and you need to buy the lobster the same day you’ll be cooking it. With frozen lobster tails, you can buy them whenever and just defrost in the fridge the night before you plan to cook them. It makes life a little easier. However, because I wanted to make this dinner a little extra special, I did decide to use fresh homemade pasta for this recipe. You can of course use dried pasta or store-bought fresh pasta. I wanted to share the recipe for my homemade semolina pasta in a separate post, but it was too difficult to take photos while I was making the pasta. I’ll have to get my husband to help me with it sometime, and then I can share that recipe. In the meantime, use your favorite pasta, any long-cut kind. Here are the main ingredients. Those are two frozen cold water lobster tails. I do not recommend buying warm water tails – the meat is not as high quality. There’s my homemade fresh fettuccine pasta, some butter, minced garlic, white wine, parmesan cheese, and heavy cream. Start out by bringing a pot of water to a boil to cook your pasta. My lobster tails were already cut down the middle from the supermarket, but I cut them a bit more to remove the meat from inside. 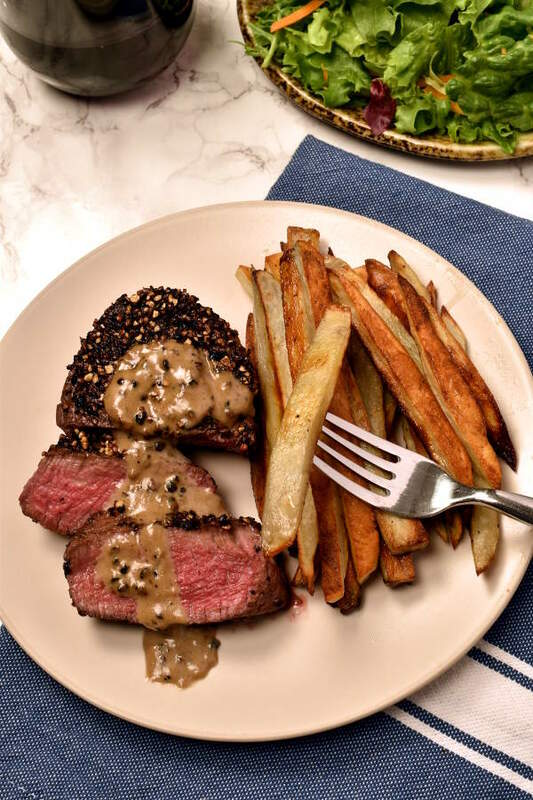 Remove the vein and cut the meat into bite-sized pieces. Cook the lobster meat in melted butter, then add the garlic and cook until fragrant. Remove the lobster from the pan and then make the sauce in the same pan. Even though you’re taking out the meat, the sauce still gets some of that lobster flavor from the pan. 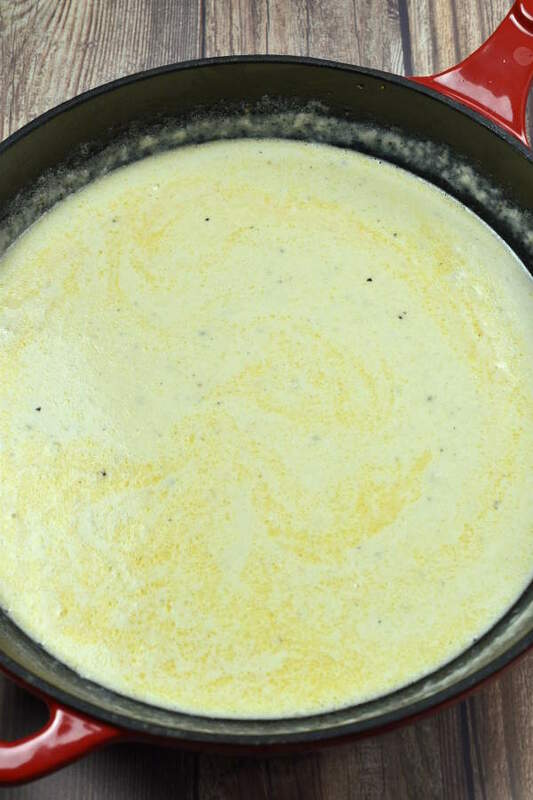 This is what the alfredo sauce looks like after you stir in the parmesan cheese. For the last step, combine the cooked pasta, lobster, and sauce and toss until everything is coated in sauce. To drink, I love a light and fruity wine like sauvignon blanc with seafood. Of course, if you’re celebrating something, I also think champagne goes great with lobster. 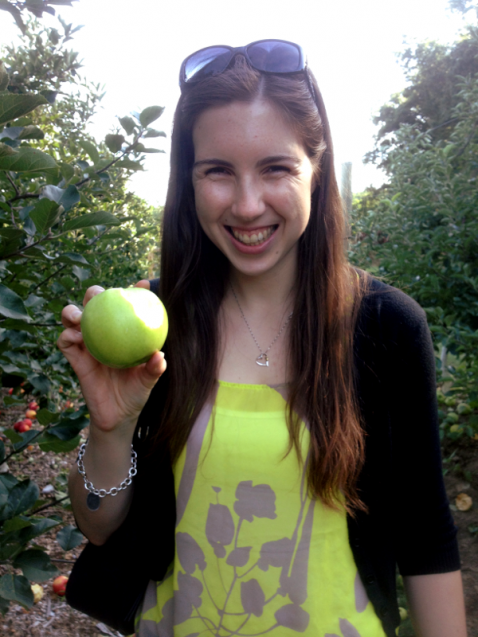 I recommend a nice green salad for your first course, or a side of steamed broccolini or green beans to add vegetables to the meal. For dessert, chocolate covered strawberries are the ultimate in romance and also kind of a light dessert after this creamy high-carb meal. I have tons of tips in this post. For a more intense chocolate flavor, you might want to consider Dark Chocolate Pots de Crème. 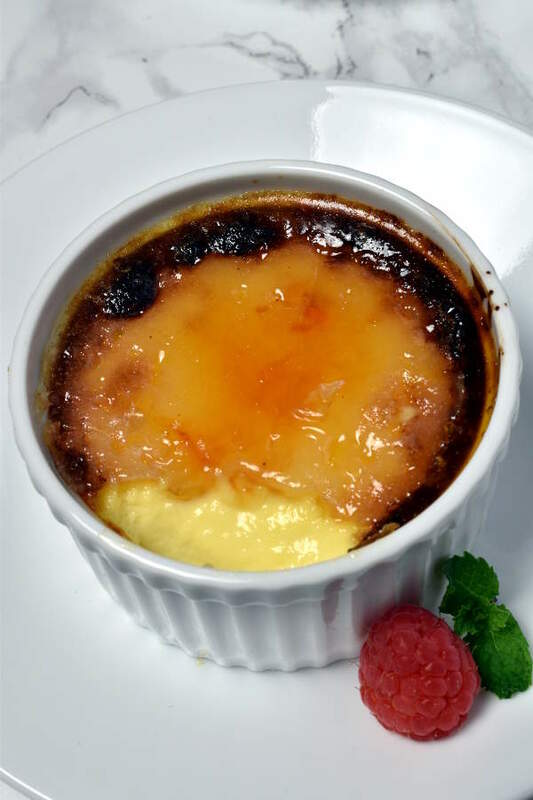 And if you or your date aren’t chocolate fans (hard to believe, but to each her own), there’s always Crème Brulee. Bring a large pot of salted water to a boil. Cook fresh pasta until al dente, 2-4 minutes, depending on thickness. Or cook dry pasta according to package directions for al dente. Reserve ½ cup of the cooking water before draining. Meanwhile, cut open lobster tails to remove the meat. 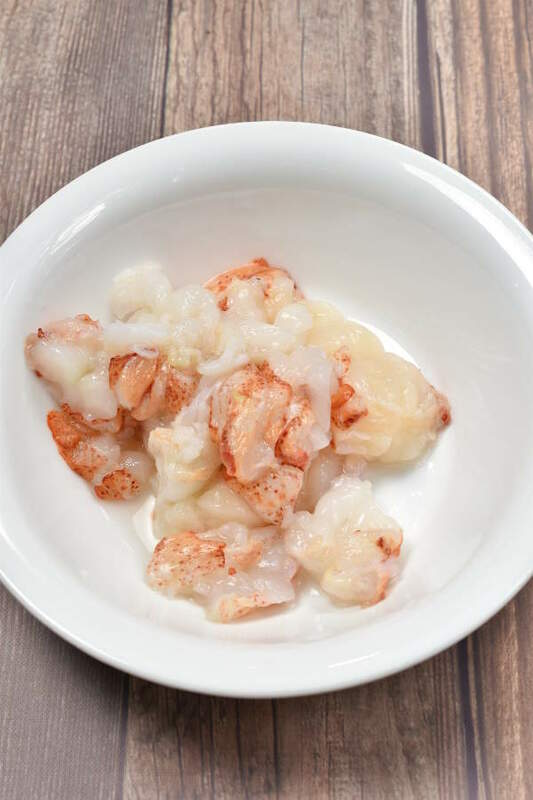 Remove vein and chop lobster meat into bite-sized pieces. Melt butter in a large skillet over medium heat. Turn heat to medium-high. Add lobster meat and season with salt and pepper. Cook, stirring often, until lobster is cooked through, about 2 minutes. Add garlic and cook until fragrant, about 1 more minute. Remove lobster to a plate. Add wine to the same pan and scrape up any browned bits from the bottom of the pan. Cook for 1 minute for the alcohol to cook off. Turn heat down to medium. Add cream and milk and stir to combine. Bring to a simmer and simmer until sauce is slightly thickened, about 5 minutes. Do not let boil. Taste sauce and add salt and pepper as needed. Remove from heat and stir in parmesan cheese. Mix until cheese is melted. 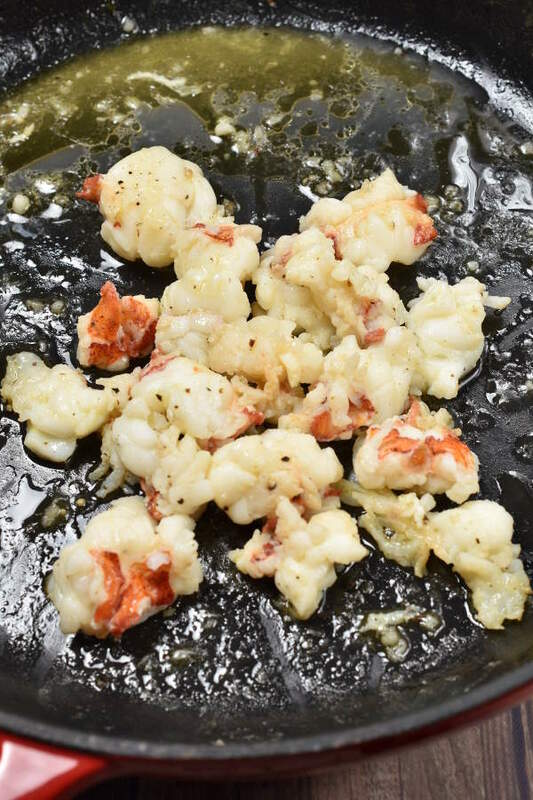 Combine cooked lobster, cooked pasta, and sauce in the skillet or in the pasta cooking pot. If the sauce is too thick, pour in a little bit of the reserved pasta cooking water to thin it. Divide pasta between serving plates. 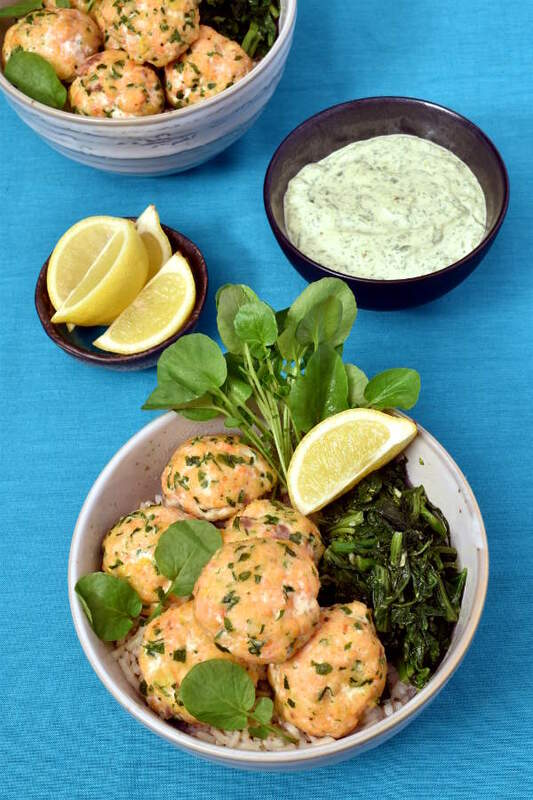 Garnish with chopped parsley and serve with lemon wedges.